Thanks for sharing, bdaddy! What a great story! I hope the raised spirits after last night's performance help your Dad to recovery even faster! Nah, we do it in the Catholic Church, too. I would have called it about 50/50 crowd split. The GU fans weren't as vocal as in past years - even at the start. For example, the students started a "Let's Go Pilots" chant shortly after tip-off and, to my surprise, they weren't drowned out by a competing "Let's Go Zags" chant. Perhaps that was a sign of good things to come. Sort of like the PAC12 network. Just for fun, for those who want to re-live it: the Top Ten Moments when the Pilots Beat the Zags. We've had lots of great wins over ranked teams between 1996 and now, but this one was a bit different. Lots of pent up frustration was released. I think the UP fans tolerate our gym being 50/50 with Zag fans for these games very well, but it gets my goat every time I have to hear cheering when the buzzer sounds and the Pilots lose. Especially when jerks like Rob Sacre (I'll never forgive him for this) stomp on our logo, taunt fans, pop jerseys, and generally disrespect the Pilots and our fans multiple years in a row. So yes, this felt freaking great. And it meant a lot to the fans too... the amount of stuff being posted on social media was incredible. FOUR different things relating to this game were trending on Twitter in Portland, and my Facebook was completely overwhelmed with posts from alumni... I'm not even exaggerating, I bet there were close to 100 different posts from my friends after the game, not to mention all the text messages I got. Yes, it's one game and I don't want to make too big a deal of it, but the last time I saw this sort of explosion of pride in the Pilots was that tournament in Anaheim a few years ago when we blew UCLA out of the water and then beat a ranked Minnesota team, which resulted in us getting ranked AP poll for the first time in 50 years. Just a reminder of the power our basketball team has in getting alumni engaged with the school and in feeling proud of their alma mater. bdaddy, some of my fondest childhood memories are also going to the local college basketball games with my father so I feel like I can at least partially relate to how special of an experience that can be. You have my prayers and best wishes that you and your father can enjoy many more Pilot victories over the Zags together! Thanks Marty. We figured if you could do it in Spokane, we could do it here. Stonehouse wrote: Just for fun, for those who want to re-live it: the Top Ten Moments when the Pilots Beat the Zags. Thanks, Stoney, loved it....especially about the fans/players having to go back to Spokane. I too have been inundated with calls and emails (no twitter or facebook in this man's life) from people who knew there were a lot of long-suffering Pilots fans who needed this kind of win. When the final buzzer sounded on Portland's 82-73 win over visiting Gonzaga last night, the ESPNU cameras kept rolling. After all, they had to document the Portland students rushing the court. On and on they came, until at least half the floor was covered in a celebration. There were smiles, there was jumping, there was a party. 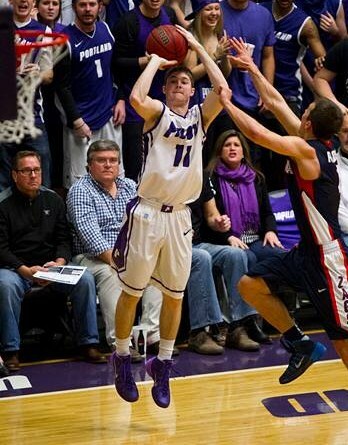 The Pilots had done something no other University of Portland team had done in more than a decade. Heck in this century. They had defeated the hated Gonzaga Bulldogs at home. bdaddy, my dad started bringing me to games 50 years ago, and he still comes. Glad you could enjoy that one with your dad. Looking at the GU board, a lot of their fans state that they like Coach Rev. I bet if he beats them another time or two, they won't like him so much. Mark Few wrote: "They were flying around and beating us to pretty much every ball that was available," Bulldogs coach Mark Few said. "I thought they outplayed us on offense and they outplayed us on the defensive end. We didn't execute very well until there at the end and they deserve a lot of credit. Just watched the replay on ESPN3. WOW WOW WOW was Bryce Pressley good. I think I got too caught up in the euphoria and excitement to appreciate what he did. He was incredible, from start to finish. Especially great was a stretch midway through the second half... UP is up by 11, and Bryce gets a steal in the paint and sends a beautiful loooong pass, hitting Korey in stride for a big dunk. Gonzaga gets two back, then Bryce responds with a three. On the next possession, he blocks a shot, gets possession, and then gets an assist to Bobby for a three. Boom. Pilots up by 17 and the game is effectively over. It was a beautiful thing to watch. 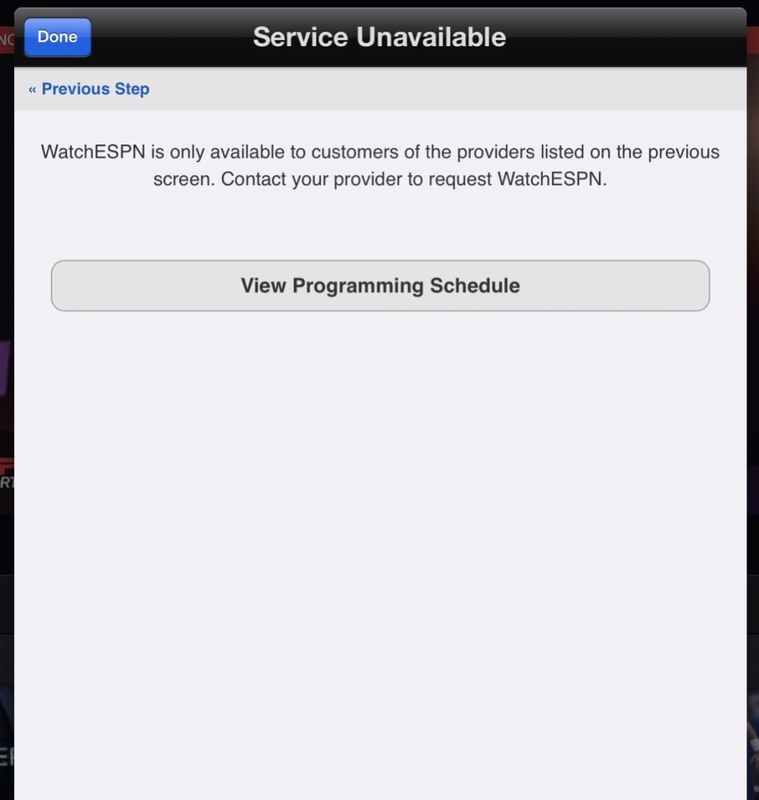 Stonehouse wrote: Just watched the replay on ESPN3. Especially great was a stretch midway through the second half... UP is up by 11, and Bryce gets a steal in the paint and sends a beautiful loooong pass, hitting Korey in stride for a big dunk. Gonzaga gets two back, then Bryce responds with a three. On the next possession, he blocks a shot, gets possession, and then Bobby hits a three. Boom. Pilots up by 17 and the game is effectively over. Tell in' ya. If he doesn't get Player of the Week, I want to se the performance of the guy who does. Any of you well informed PilotNation'ers out there know who the recruit was at last night's Gonzaga game and Coach Rev tweeted about taking to breakfast this morning? 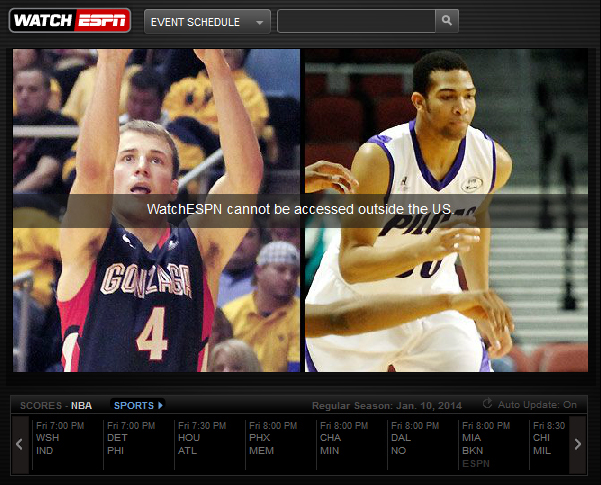 For those of us without ESPNU, I came across this link. The entire game is now posted on youtube. DeanMurdoch wrote: Such a great game to watch. Can't remember if it was Sharp's three from the parking lot or Bailey's and-one putback off his own miss that moved me into "holy crap, they're gonna win this" mode but either way, what a win for the guys. Bobby clapped his hands asking for it, too. The most impressive thing to me about the GU game was the Pilots' ability to maintain the lead at the end of the first half when Bailey went to the bench with 2 fouls. We were in a similar situation against Saint Mary's, and when Bailey went out with foul trouble we couldn't get anything going on offense. Bailey spent a lot of minutes on the bench against Gonzaga, and we kept the offense rolling! PurpleGeezer wrote: Tell in' ya. If [Pressley] doesn't get Player of the Week, I want to se the performance of the guy who does. That would be Tyler Haws. 35 points against Pepperdine, 31 against LMU. .................... Just a reminder of the power our basketball team has in getting alumni engaged with the school and in feeling proud of their alma mater. Thought about you and your buddies as this was all going down. I've always maintained that there is no shame .... ever .... in losing. Particularly losing to a better team. And that's what happened on Thursday .... the better team won. Doesn't mean I enjoyed any of it (I didn't) .... but I certainly respected (and appreciated) what happened to my guys at Chiles. I'm just grateful that the Zags didn't parlay the "Portland" week bye in to a cross country Saturday night ESPN game to further complicate their week. Not having a game last night was good for Zag fans (i.e. able to fully enjoy the big Seahawks win). PS .... re: Coach Reveno. He IS well liked and well respected .... by Zag fans and, I believe .... around the league. That respect wouldn't diminish if Portland continued to beat Gonzaga more frequently. At least that's my opinion. Looking ahead at all the ROAD games yet to be played, it’s going to be tough for UP to attain the all-important 6th place….but certainly not impossible if the Pilots can play with the same intensity they displayed against GU last Thursday. p.s. I don't mean to blow my own horn, but I posted this 23 minutes before tip-off. Just saying!